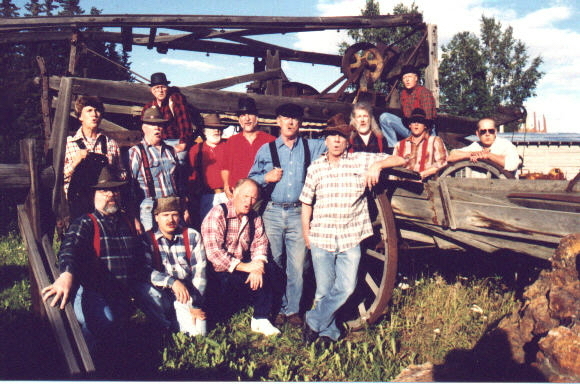 "Great Land Sounds Home Page"
Welcome to The Great Land Sounds barbershop chorus, located in Fairbanks, Alaska. Our chapter is part of The Evergreen District of SPEBSQSA - the Society for the Preservation and Encouragement of Barbershop Quartet Singing in America. Click one of the navigations buttons or links below to learn more about the Chapter or the Society. Special thanks to The Shop for some of the graphics used in this site!